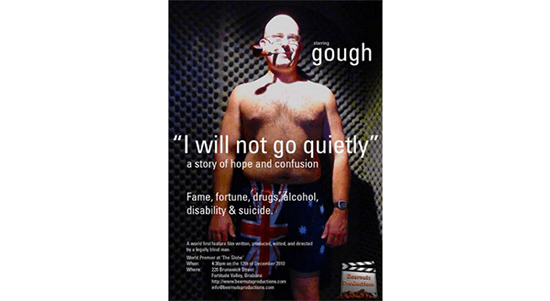 This world first feature film takes you through the life of “gough”. Fame, fortune, drugs, alcohol, disability and suicide. 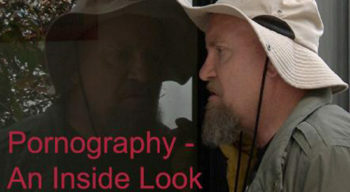 This remarkable true story takes you through it all, step by step. Interviews with friends, family and experts in their field, including; mental health experts, comedians, drug and alcohol counsellors, a neurosurgeon, education experts, and a relationship advisor, will keep the audience both informed and gripped on the edge of their seats. This production is the first to be written, produced, edited, directed and starring someone classified as “legally blind” and will display the capabilities of those with a disability, while keeping the audience both entertained and enthralled. 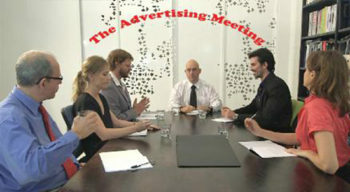 Education, employment, discrimination, success and heartbreak this film captures it all. This brutally honest depiction of life as a visually impaired man will inspire, surprise fascinate, and captivate. “I Will Not Go Quietly” is produced by gough through his production company, Beernuts Productions. To download this 90 minute documentary in an mp4 format and completely free of charge, please click on the Download Movie button.